When a boy receives a gift box from his uncle on his sixth birthday, he's sure he knows what's inside-the perfect adorable dwarf rabbit of his dreams! The box does indeed contain a bunny . . . but it looks like a potato, with wiry whiskers and blobs of yucky fur-most definitely not perfect or adorable. The boy is a blur of sadness, fury, and disappointment, until the bunny finds ways to comfort him. Maybe this funny bunny isn't so bad after all? This sweet story teaches children a valuable lesson about why it's important to give pets (and people!) a chance . . . even if they seem quite imperfect at first. Bunnies--not tigers--rule the forest in this adorable take on William Blake's classic poem. Bunnies, bunnies, burning bright In the forests of the night-- Wait, bunnies?! Yes, bunnies. Tigers may be the most feared animal in some forests, but in this one, they fear the bunny. One hapless tiger finds this idea preposterous--what are they going to do? Nibble on his tail? Bop him on the head? Cute him to death? 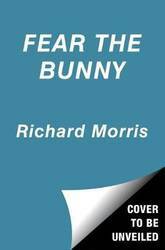 Fear the bunny--HA! 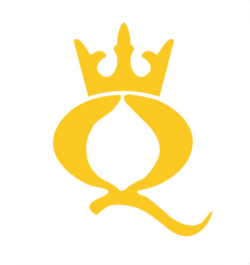 Make no mistake, though: Richard Morris' reimagining of William Blake's famous poem turns the tables, and teaches one testy tiger a little rabbit-respect! 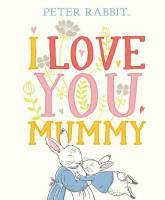 This heart-warming book is the perfect way to tell your mummy you love her! With a little help from Peter Rabbit himself, a beautiful rhyme, contemporary design and gorgeous illustrations capture the charm of Beatrix Potter's drawings, ensuring the book will appeal to Beatrix Potter fans old and new. The perfect gift to tell a loved one how much they mean to you. There are lots of sleepy animals to wake up in this bouncy, energetic picture book. Lift the flaps, then hop with the little bunnies, cheep with the chicks, baa with the lambs and mew with the kittens. 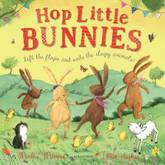 An interactive book, full of non-stop fun, based on the popular nursery rhyme 'Sleeping Bunnies'. This is full of the joys of Spring and the perfect Easter gift. 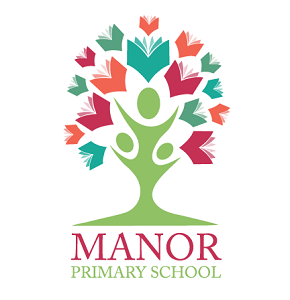 From the illustrator of the bestselling We're Going on an Egg Hunt. 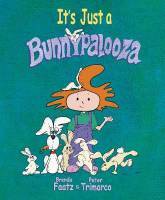 It's Just a Bunnypalooza for our red-headed protagonist Lizzy. Ever rambunctious and creative, Lizzy is learning new dance moves from her furry bunny friends just in time for the school talent show. When she tells her classmates that she's learning hip-hoppity moves from bunnies, Lizzy becomes embarrassed and self-conscious as the children giggle at her over-active imagination. From there, Lizzy is decidedly in complete denial that animals communicate with her. She becomes an avid non-believer. Naturally, the bunnies organize an intervention.Not only will these furry little creatures not allow Lizzy to attempt ahip-hop' without them, they do not want to lose their friend. Word travels fast and before long, where once there were two bunnies there are now three a| and soon four and then dozens more. All the while, Lizzy remains steadfast in her denial right up until the Rabbit-a-Raucous Recital. This little tale about Lizzy and acotton-tails' provides multiple social-emotional-learning momentsa|and is also pure adventure-in-rhyme, fantastical humor and, as with all Lizzy books, plays with made-up words. For ages 3-7, this is the third book in the award-winning It's Just So series (Foreword Indies Silver, Mom's Choice Gold, CIPA- Gold, Reader's Favorite Gold). A deliciously funny debut from a major new talent! MiniRabbit is making a cake. Cake, cake, cake! But he's run out of berries. No berries, no cake. No cake? No way! So off he goes to look for some... He's not cold, not too small. And, no, no, definitely NOT LOST... or is he? Bear would rather sleep all day than work on his farm, and Fox knows just the kind of help he needs - a donkey! When Fox tricks Bear into buying a donkey egg, Bear can't wait for it to hatch so he can meet his new friend. 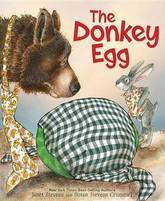 But donkeys don't come from eggs! And when the 'egg' finally opens, Bear gets a fruity surprise. Luckily, Bear doesn't have to face disappointment alone. Hare is there to help! 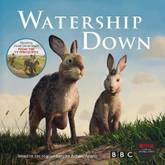 Follow the journey of some very special rabbits in this gorgeous gift storybook edition of the TV mini series of Watership Down. A beautiful, fully illustrated picture storybook, with text by award winning author Frank Cottrell-Boyce. Adapted from the scripts of the TV mini series by the BBC and Netflix, this edition will introduce a classic story to a new generation, while reigniting the heartfelt place of the story for older readers. This is a really special family-friendly edition of Watership Down. Illustrated with a combination of stills from the TV and soft line artwork, this is a wonderful introduction to Richard Adams' original award-winning story, first published over 45 years ago and regarded as a modern classic. Set in the English countryside, Watership Down tells the tale of a ragtag band of rabbits fleeing the destruction of their warren in search of safety and a new home. Their adventure is brought to life in this stunning gift picture storybook, which will be treasured by fans of the original novel, as well as new readers introduced to this epic tale by the television mini series. Watership Down (c) Watership Down Television Limited 2018. Licensed by ITV Ventures. It's springtime and all the animals are preparing to celebrate with a spring picnic! Everyone has to bring something to share with their friends, but there's just one small problem . . . Peter Rabbit can't think of ANYTHING to bring. Everyone else seems to have the perfect gift to share. Will Peter manage to find something in time? Will he stumble upon the best springtime surprise? 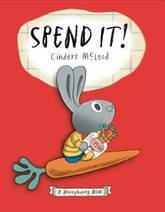 A sweet story about sharing, springtime celebrations, and a gentle message about the importance of friends. 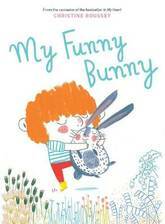 This is the fifth title in a new series of stories for the very young set in Peter Rabbit's world. The simple tales mirror important early experiences and emotions of young children through the eyes of Beatrix Potter's most well-loved characters, while Eleanor Taylor's illustrations are filled with charm and humour. Named one of Childhood 101's 21 Best Easter Books for Kids ! To find all the Easter Bunny's hidden treasures, all you need to do is track her as she hides them the night before Easter! Legend has it that the only way to find all the hidden Easter eggs is to track an Easter Bunny's every move. . . . But be careful: Easter Bunnies hop fast! To find one, you'll need to be clever in crafting a tricky nest. So, grab some nest supplies, glitter, and glue, and get prepared for your sly holiday visitor! On the night before Easter, the Easter Bunny will show up to hide her eggs and then disappear as quickly as she came. 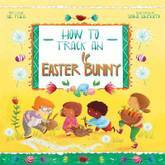 However, if you're careful and clever and quick, you can set up a bunny nest that will let you track the Easter Bunny, and then you'll be sure to find all her hidden treasures, no matter where they might be! 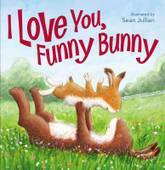 Sue Fliess's poetic read-aloud text and Simona Sanfilippo's vibrant, whimsical illustrations will provide much fun for young readers eager to track the Easter Bunny and find her hidden eggs! Rabbit has never had a wish before; but one day he gets not just one, but three! Wish is a touching story about the power of kindness and the magic of friendship, with beautiful and emotive illustrations from Chris Saunders. Once every year wishes take flight, filled with hope and twinkling light. They dance in the air, with a swirl and a swish, you have to be lucky to be chosen by a wish. Rabbit cannot decide what to wish for, so he asks his friends Mouse, Fox, and Bear what they would do if they had a wish. Being selfless and kind, Rabbit grants all three wishes to his friends. They are so grateful for his kindness and generosity, they share their wishes with him. Here are the woods. The woods are home to three foxes on a hunt for rabbits. 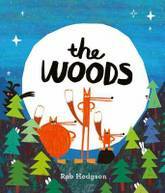 Three foxes that don't realise someone might be following them... From the author of The Cave, this is a fantastically funny cat-and-mouse (or fox-and-rabbit) story with a not-so-fluffy twist. The foxes follow some helpful signs over the tallest trees, under the carrot fields and through the pumpkin patch, but there's no sign of any rabbits. 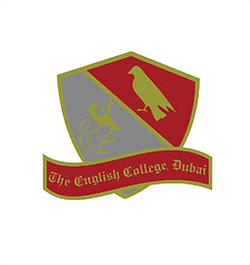 What on earth has happened to them? And why are there strange eyes following them from the trees? 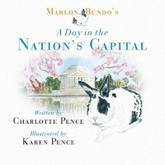 Children will love outwitting the foxes - who continually say, 'No rabbits here' - by spotting the rabbits in each colourful illustration. Sonny gets three whole carrots a week for his allowance and wants to buy everything with it! But he soon discovers his money won't go that far, and his mum tells him he needs to make some choices. That doesn't sound like much fun to Sonny, especially when he learns that the bouncy castle he's been eyeing goes for ONE HUNDRED carrots. Ridiculous! But eventually, after a little math and a little more thinking, he has a blast discovering what's really important to him and worth spending his carrots on. The animals of the forest are all getting sick and no one can figure out why. Determined to get to the bottom of the mystery and help her friends and family, Charlotte dives into some serious medical science. But when the doctors and other scientists don't take her work seriously, she sets out to find a cure on her own, determined to show that she can make a difference. 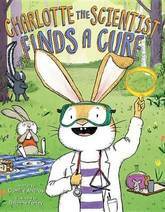 This empowering story about a smart, confident bunny encourages girls to be persistent and believe in themselves. 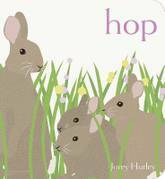 Baby bunnies go on a spring day adventure in this delightful Classic Board Book from acclaimed artist and author Jorey Hurley. A perfect gift for your little one's Easter basket! Listen. Follow. Hide. Snuggle. A quiet spring day holds unpredictable adventure when a mother rabbit leads her three bunnies out to explore. Their world seems playful at first, but it can suddenly turn dangerous. The natural world holds unpredictable adventures for them at every turn. Celebrate the beauty of spring with this vibrant Classic Board Book that's a perfect read-aloud for parents and little ones to share. Rabbit has never had a wish before; but one day he gets not just one, but three! 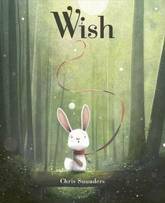 Wish is a touching story about the power of kindness and the magic of friendship, with beautiful and emotive illustrations from Chris Saunders. Once every year wishes take flight, filled with hope and twinkling light. They dance in the air, with a swirl and a swish, you have to be lucky to be chosen by a wish. Rabbit cannot decide what to wish for, so he asks his friends Mouse, Fox and Bear what they would do if they had a wish. Being selfless and kind, Rabbit grants all three wishes to his friends. They are so grateful for his kindness and generosity, they share their wishes with him. 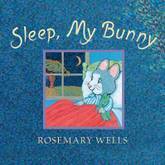 From the treasured author-illustrator of My Very First Mother Goose comes a soothing, lullaby of a bedtime book for the very young. The owls and the crickets are singing together... Outside the window under a kaleidoscopic sky, the garden and all its creatures prepare for nightfall. Inside a cosy house, a beloved bunny gets ready, too: eating dinner, putting toys away, taking a bath, reading a story, listening to a song... With gorgeous artwork and a simple poetic narrative, celebrated author-illustrator Rosemary Wells invites bunnies big and small to wrap themselves in the comfort of a soothing lullaby that gently ties nature's rhythms to familiar ritual. A book for anyone who's ever lacked confidence or been afraid of failing at something new. Monty is a marvellous magician, but why won't he show his tricks to other people? Zephyr and Snuffles, Monty's best friends, want everyone to see just how amazing he is and keep reminding him that - together - they can do anything! They are a magical trio! But will Monty remember that when he's about to get up there on the glittering stage? Overcoming nerves, supporting your friends and finding your inner courage is celebrated in this heart-warming, stunningly-illustrated story about being a magician. This charming, energetic story shows the power of friendship through the teamwork of a lovably mismatched pair. 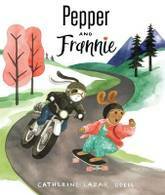 Confident Frannie convinces cautious Pepper to give skateboarding a try, but Pepper's attempts are not all smooth sailing. Luckily, she has a supportive and enthusiastic friend to cheer her on and help her realise her potential. This story is a relatable look at the ups and downs of trying something new, with an encouraging message about the importance of persevering. 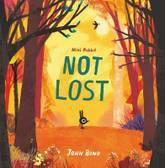 Sweet, lively illustrations complement this empowering tale about learning to fall and to get back up again. 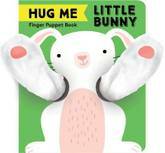 Share your love with this huggable finger puppet book! The sweetly reassuring stories in this brand-new series celebrate all the things a parent's arms can do for their child, from playing games to sharing a treat and-best of all-showing their love with a hug. Adorable illustrations and two plush finger puppet arms make for a cozy, interactive reading experience for babies and their loved ones. 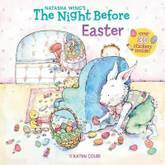 While we all know what happens the night before Christmas, this book shows the secret behind-the-scenes work that the Easter Bunny does to prepare the sweetest holiday of the year, told in the same style as the classic Clement C. Moore holiday poem. This hardcover gift edition also features stickers perfect for celebrating Easter and decorating eggs! Everyone is friends in Acorn Wood! Tales from Acorn Wood is a bestselling preschool series by Julia Donaldson and Axel Scheffler, creators of the modern classic, The Gruffalo. Friends is a delightful introduction to the world of Acorn Wood. Fox and Mouse play dress up, Squirrel's friends help with chores, Pig plays hide and seek with Hen, Bear's friends say Happy Birthday , and Rabbit's friends sing her to sleep. A first book about friendship based on the bestselling lift-the-flap toddler books: Postman Bear, Fox's Socks, Rabbit's Nap and Hide-and-Seek Pig. One Peter Rabbit . . . Two bad mice . . . Three naughty kittens . . . 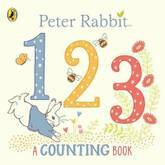 This whimsical board book takes you gently through the numbers from 1 to 10 and is a stylish introduction to the world of Peter Rabbit. With beautiful line artwork, this is a must-have for any baby or toddler's bookshelf. Learn about opposites with the animals from Acorn Wood. Tales from Acorn Wood is a bestselling preschool series by Julia Donaldson and Axel Scheffler, creators of the modern classic, The Gruffalo. Opposites is an early learning book featuring the animals from Acorn Wood. Who is big and who is small? Who is feeling sad and who is feeling happy? Who is awake and who is asleep? Who is being loud and who is being quiet? A first book about opposites, based on the bestselling lift-the-flap toddler books: Postman Bear, Fox's Socks, Rabbit's Nap and Hide-and-Seek Pig. 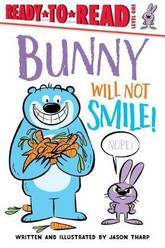 From the endless imagination of Jason Tharp comes a brand-new, interactive Level 1 Ready-to-Read that's perfect for fans of Mo Willems, Jim Benton, and David Milgrim and for beginning readers who like to giggle! A bear named Big has a problem. His friend Bunny will not smile, no matter what Big tries...so Big needs your help! With appealing comic-inspired speech bubbles and interactive storytelling that prompts kids to do everything from turning the page, to leaning in so Big can whisper an idea, to making their silliest silly face, beginning readers will giggle their way through this Level 1 Ready-to-Read! 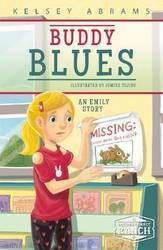 When Buddy, the class rabbit, goes missing, Emily is distraught. It was her responsibility to take care of Buddy over spring break, and now he is gone. The angry glares from her classmates don't help her blues either. The only bright spot is her new friend Oliver. But as Emily's friendship with Oliver blossoms, the possibility of finding Buddy withers away. Can Emily recover from the loss of Buddy? At Second Chance Ranch, the Ramirez family cares and works to find homes for all kinds of animals on their 200-acre ranch in Texas. Sisters Natalie (12), Abby (10), and twins Emily and Grace (9) all do their part to help out and give each animal the second chance it deserves.